If you shop on Amazon.com, consider shopping for the same goods on Smile.Amazon.com and selecting Boy Scouts of America Waterbury as your charity. Amazon will donate a percentage of the total to the Green Mountain Council. It doesn't get any easier!! We are very proud of all of the boys’ achievements and extremely appreciative of all the parental involvement. 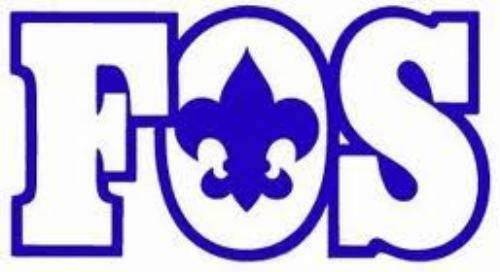 Each year during the Blue and Gold Banquet, a volunteer from Three Rivers District Committee will very briefly discuss the annual Friends of Scouting (FOS) campaign, which helps underwrite the cost of Scouting for all involved. We thought it might be beneficial to send out this letter in advance for your information. · Camp Sunrise & Mount Norris summer camps. · More than $9,500 worth of Camp Scholarships to help ensure every youth has a chance to attend one of our Summer Camps. · Professional guidance and support that mobilizes several hundred volunteers in our immediate area who work with children from our community. · Council & District wide activities, programs and trainings. Friends of Scouting provide these benefits and many more to our children, as well as numerous at-risk youth throughout our State. Our Pack/Troop/Crew Base goal for FOS this year is $1000.00. If we achieve this Base goal through donations from parents like you, our Scouts will receive free rank advancement for the next 12 months. In past years, parents have contributed gifts ranging from $20-$100.00. The Scouting organization annually spends in excess of $200 per boy while the registration fee is only $24. Compared to most activities like hockey, basketball and even piano lessons, Scouting is a great investment and truly a bargain. During this event, you will receive a pledge brochure and form. We hope all parents will consider a gift and turn in their pledge form during that time. Please remember that any gift will be greatly appreciated regardless of the amount. More information about how to give to scouting can be found on the Green Mountain Council website or by visiting http://aplacetogive.scouting.org.